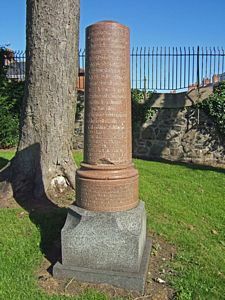 Notes: The Jewish section of the Belfast City Cemetery was acquired in 1871: the first burial took place 2 years later on 2 Feb 1873, and the last on 11 Jun 1964. From 1884 to 1929 no headstones were allowed for those buried in the Jewish ‘poor ground’. Following the reversal of this decision, a memorial stone to all those buried there was erected in 1931.